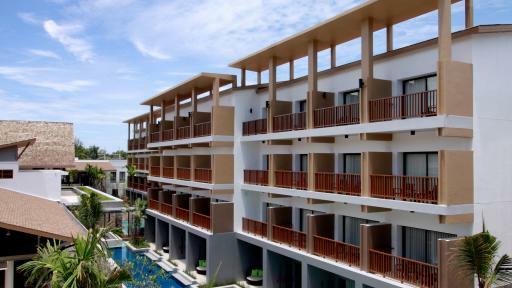 Well located only half an hour from the Krabi International Airport Aonang Cliff Beach Resort boasts 172 rooms set on the side of a hill and within walking distance of the beach, restaurants, shops and entertainment. This Krabi accommodation is perfect for couples and families that want to relax by the pool, explore the tourist spots, spend time at the beach or just read a book on the balcony. 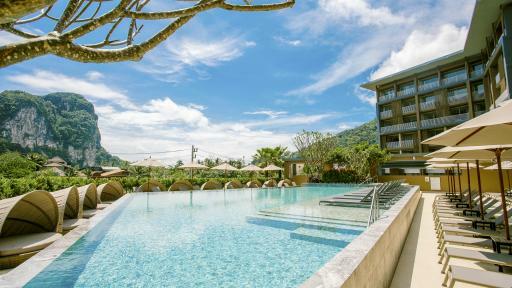 Located close to both Ao Nang and Nopparat Thara Beach this Krabi accommodation features an array of leisure facilities including a 43 metre swimming pool with a slide, day spa, swim up bar, kid's pool and fitness centre. There are many activities, attractions and offshore islands to enjoy while visiting Krabi. Centara Anda Dhevi Resort & Spa Krabi is the perfect place to base yourself whether you are travelling as a family or as a couple. 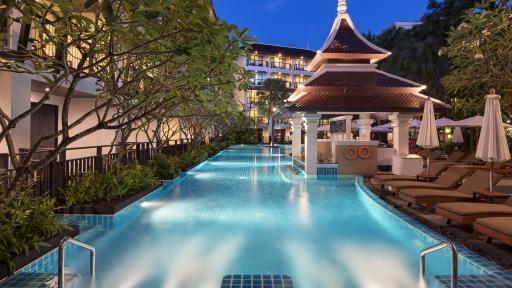 Located in southern Thailand, Centara Ao Nang Beach Resort & Spa Krabi is a fantastic holiday choice for a family fun filled holiday or for couples seeking a romantic escape. Opening in September 2019, Centara Ao Nang Beach Resort & Spa Krabi has a prime beachfront position on Ao Nang Beach. 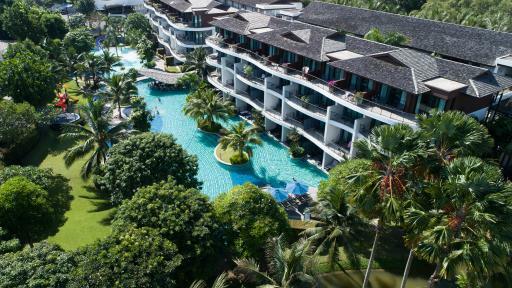 If you're after a private white sandy beach resort that is not far from the main town of Ao Nang then Centara Grand Beach Resort & Villas Krabi is for you. This Krabi accommodation is only 30 minutes drive from the airport with Ao Nang beach and the main town easily accessible by car, speed boat or long tail boat. The resort is perfect for couples and families with a variety of facilities available including swimming pools, kids club, day spa, diving, water sports, restaurants and bars. Centra by Centara Phu Pano Resort Krabi is a new resort centrally located near the beautiful Ao Nang Beach in Krabi, just 45 minutes from Krabi Airport. This comfortable and friendly Krabi accommodation features a range of guest rooms for couples and families and resort facilities such as swimming pool, restaurant and pool bar. 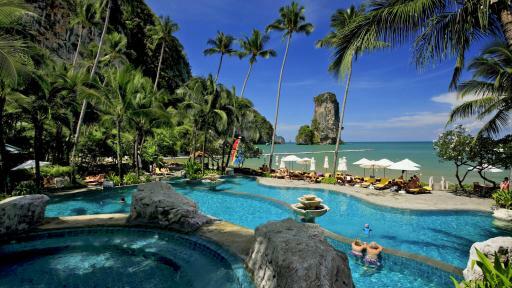 Escape to Thailand and explore the magical Krabi region at Centra by Centara Phu Pano Resort Krabi. This four star Krabi accommodation boasts a convenient location just 10 minutes walk from the beach and half an hour drive from the International airport. Deevana Plaza Krabi - Aonang features 213 rooms and suites that are the perfect place to retreat to after a busy day in the sun. There are numerous facilities and services available to guests including 3 swimming pools, day spa, WiFi Internet, restaurant & bars plus much more. 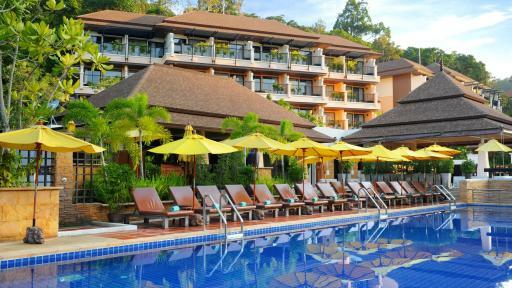 For a relaxing and memorable Krabi holiday why not stay at Deevana Plaza Krabi - Aonang. This popular Krabi accommodation boasts a wide range of room types suitable for couples and families. There is plenty to enjoy at Holiday Inn Resort Krabi Ao Nang Beach including easy access to the stunning beach that looks out over the Andaman Sea plus a great selection of facilities including a kids club, swimming pools, water slides, swim up pool bars, a restaurant, day spa and a gym. Head out for the day to explore the Krabi region or even further to Phi Phi Island & return in the evening to a comfortable and relaxing room. 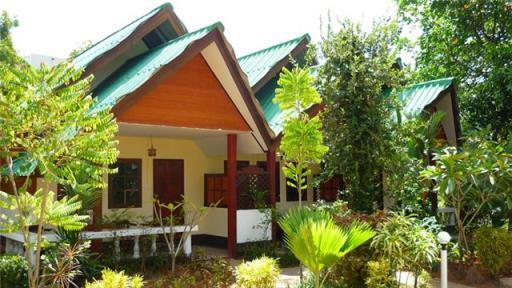 If you are looking for budget accommodation in Ao Nang that is close to the beach, restaurants, activities and nightlife then The Krabi Forest Homestay if the ideal choice for you. This Krabi accommodation offers bungalow style rooms that are suitable for couples and small families on short or long stays and is just 45 minutes away from the Krabi International Airport.